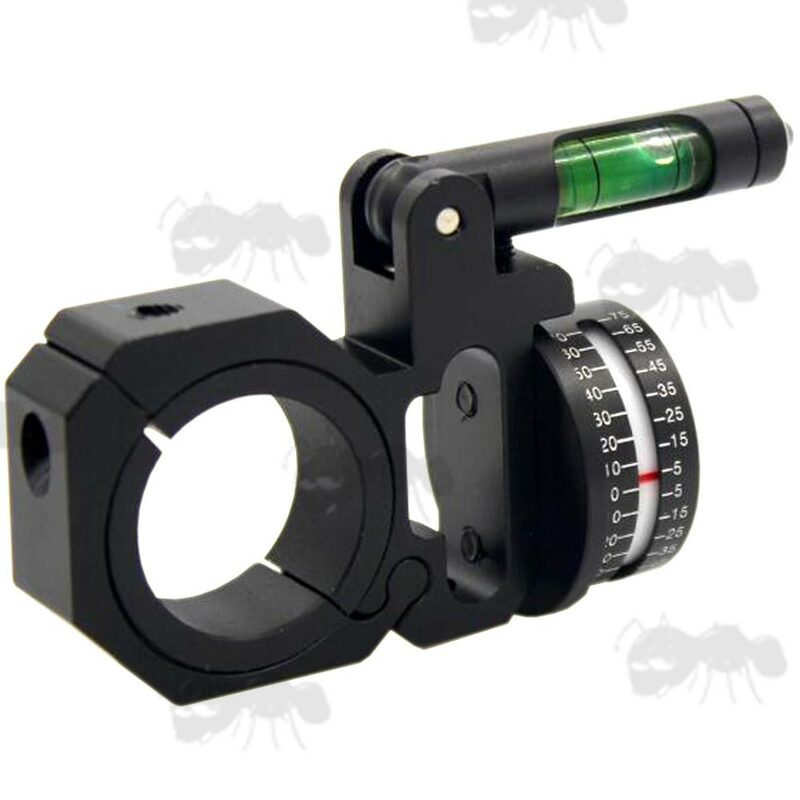 For fitting to the rifle scope tube. 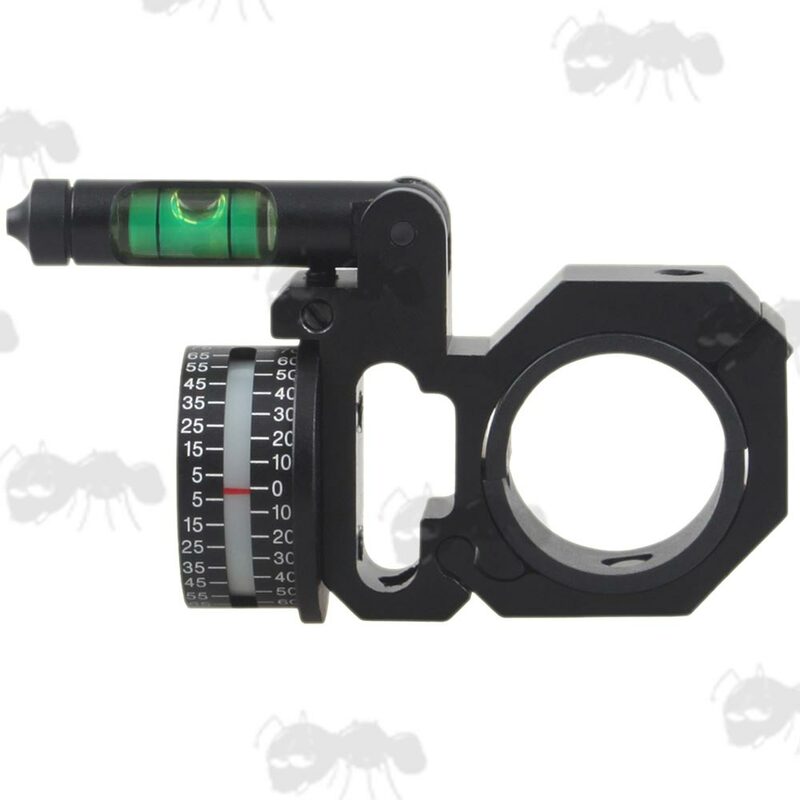 Scope angle indicator for long range precision shooting. 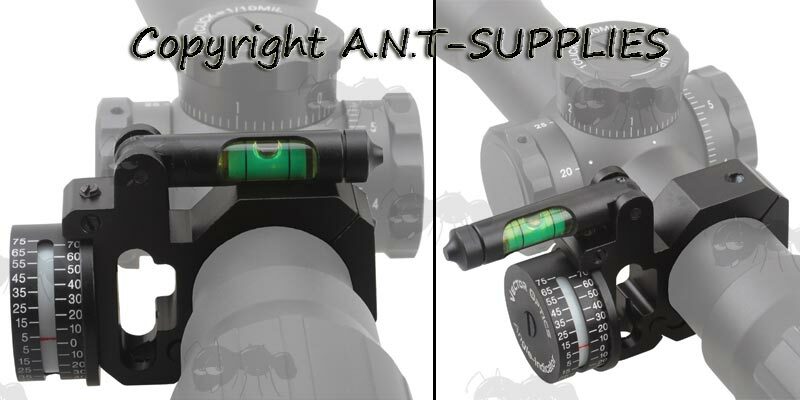 For 30mm diameter scopes, with adapter for 25mm tubes. With swing-out anti-cant spirit level. Made from 6063 T6 aircraft grade aluminum alloy. The red needle on the dial tells you the degree your rifle is off level. Allowing you to adjust for bullet drop. Canting can also be corrected with the aid of the swing out spirit level. 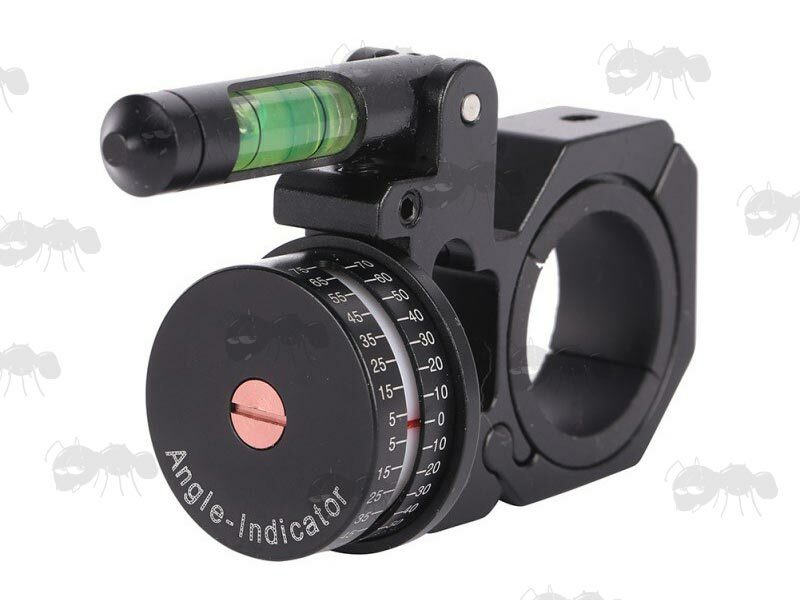 The angle indicator position can be reset with a screwdriver to release the screw and reset its position. The level can also be adjusted buy turning the grub screw.